Partner at Collective Works, Alasdair Ben Dixon, also sits on the RIBA Ethics and Sustainable Development Commission. The commission was launched in March this year following a resolution by RIBA Council “to consider how the profession can best reflect its core values of public interest, social purpose and sustainability, and engage with the United Nations’ 2030 Sustainable Development Goals”. 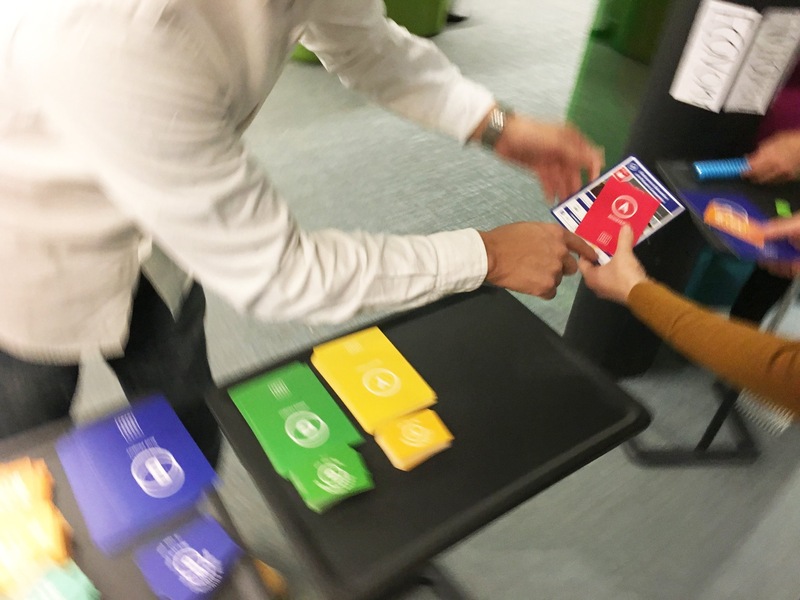 Given the commission’s goal of finding out how the profession can achieve the SDG’s, Alasdair was naturally curious when he heard about the 2030 SDG’s game which has been taking Japan by storm. 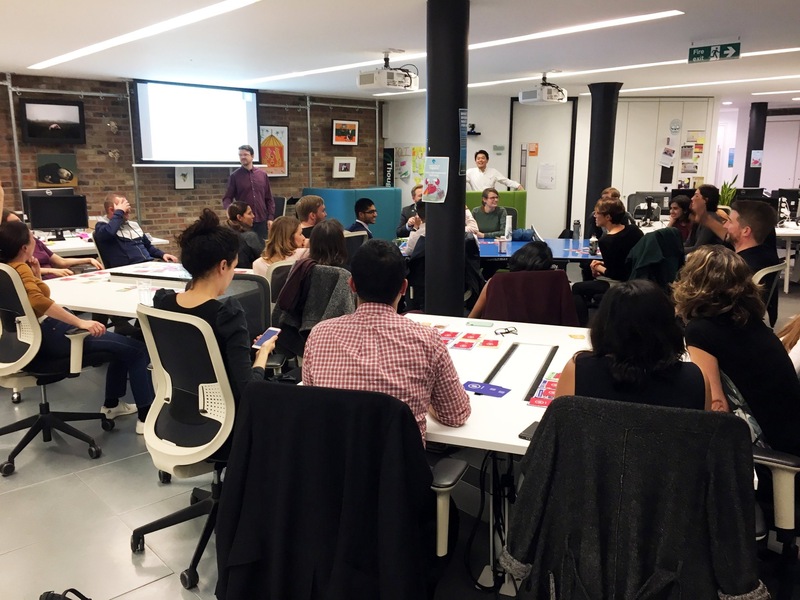 First hand experience is always best so we attended a rather interesting event last week organised by A Fairer Society. Hats off to them for managing to quickly create empathy and collaboration amongst 25 strangers!! A Fairer Society is an organisation that believes in a sharing economy based on sociocratic ownership, where social, environmental and financial impact are normal parts of all development. Read more about them here. If you are not familiar with the game then head over here to learn more. 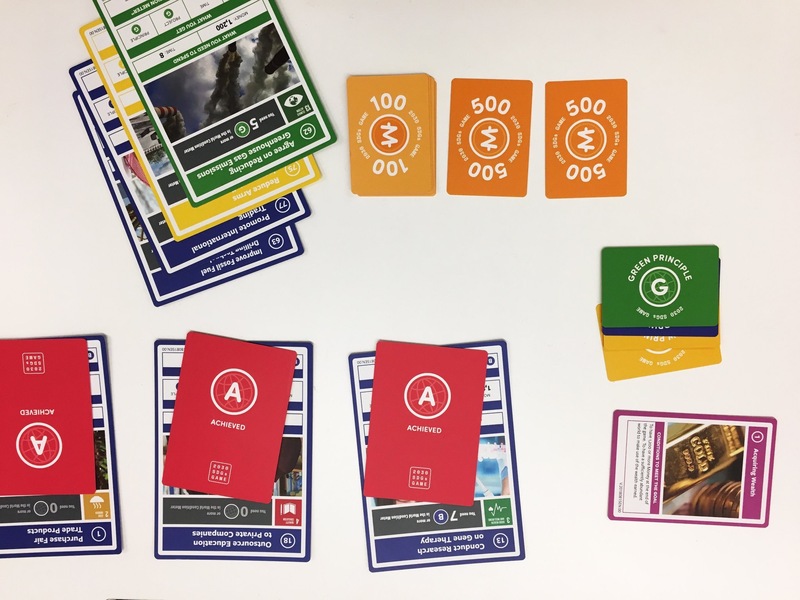 In short the multiplayer card game simulates taking the “real world” into the year 2030. It was designed in Japan in 2016 and so far has become a powerful social phenomenon there in corporate, governmental, educational, and community settings. Most players finish the game feeling excited, connected, and ready to take action on the big issues of our world. Players often ask “what can I do next to make a difference?” While players do finish the game with an understanding of the goals, targets, and the various ways the world can achieve these – the change in attitude and worldview is the most significant effect. Where a significant portion of a community or organisation plays this game, the effect is culture change.